The fire on the hills east of Lake Berryessa shows no sign of slowing down. WINTERS, Calif. (KGO) -- The fire on the hills east of Lake Berryessa shows no sign of slowing down. In fact, what Cal Fire has dubbed the County Fire has grown significantly since it started on Saturday -- 32,500 acres so far. No structures have been destroyed, but more than a hundred are threatened and the smoke, especially along Highway 16, is starting to take a toll. "It's getting bad now. It's starting to be really bad. Headaches, yup. Definitely," said Kimberly Tacket of Yolo County. 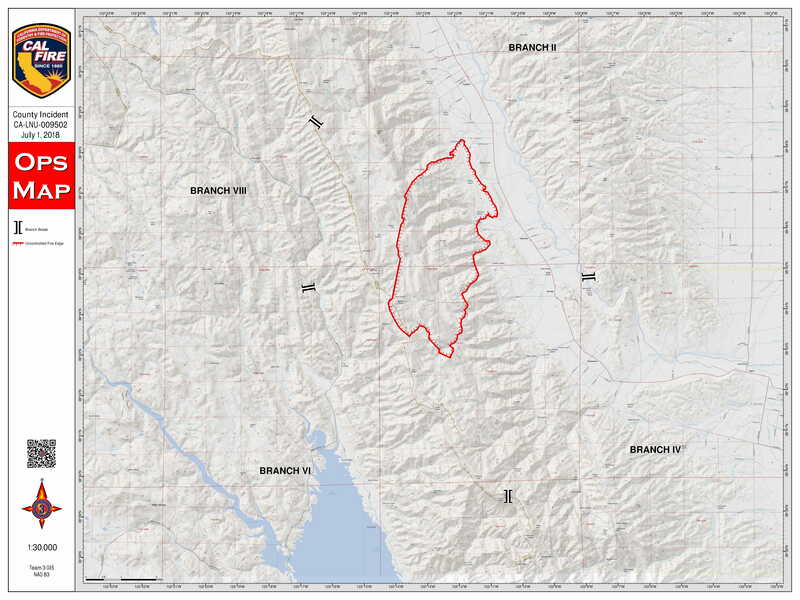 Mandatory evacuation orders have been issued along Highway 128 west of Pleasants Valley Road and several nearby areas in Yolo County. Many heeded the warning. But others at Canyon Creek Resort, a motor home park east of Lake Berryessa, have chosen to stay put. "What happens if I move today and tomorrow they say, 'oh the road is open again.' Then I lose my spot. I lose my money. I lose my time, my work and I don't like that," said Juliano Urbina, a guest at the resort. "Today's my first day on vacation and I have 10 days off and I'm not going to ruin it," said Michael Brady, another resort guest, who chose to ignore the evacuation order. Brad Gednalske, one of Canyon Creek's security workers, says he won't leave until everyone else does. Firefighters have been called in from all over California. Crews are dealing with high temperatures and shifting winds as they work to establish control lines. "We're just going along the edge of the community with some dozers and crews and as the fire comes down off the hill, stopping it before it gets into the community," said Dave Soldavini of the U.S. Forest Service. The fire is only 2 percent contained. Full containment is expected on Friday. Residences served by Highway 128, between Monticello Dam and Pleasant Valley Road.